The sterling silver Leprechaun medallion is approximately 1 1/2" in length with a stainless steel split ring for keys. 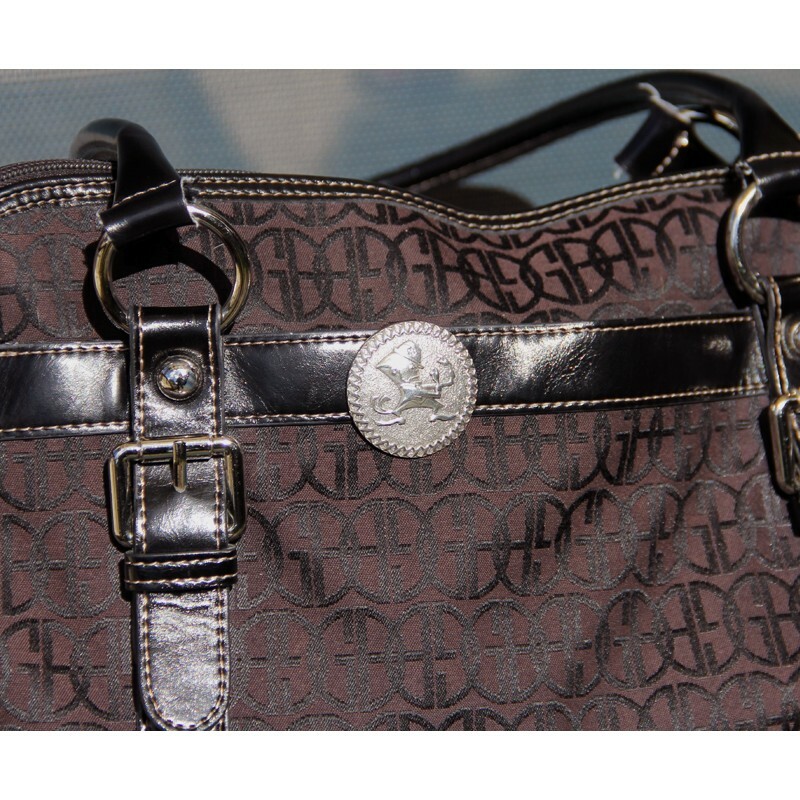 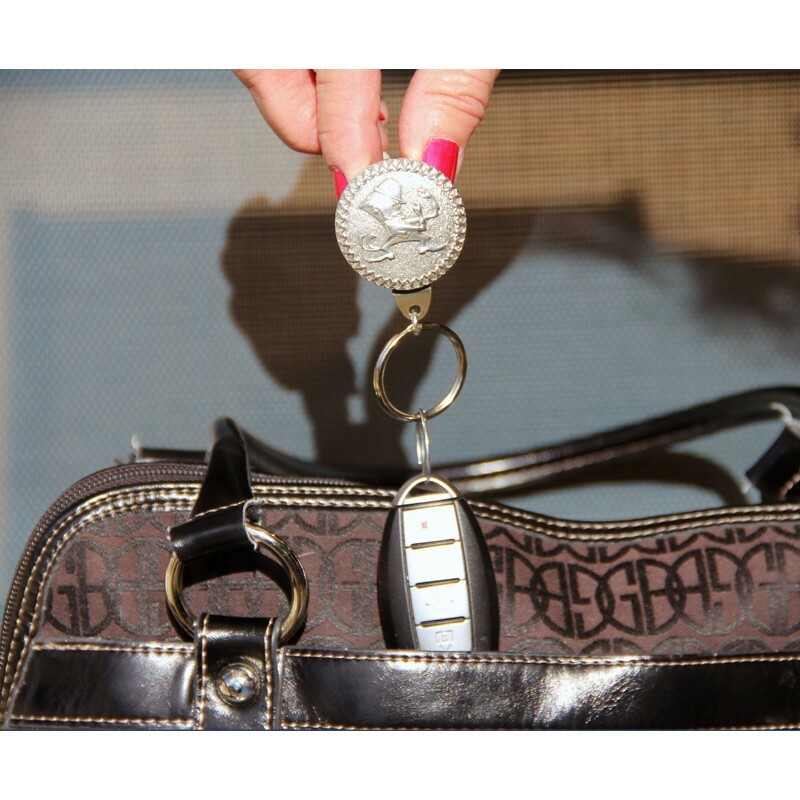 See "More Info" for ways to use your money clip/key fob. 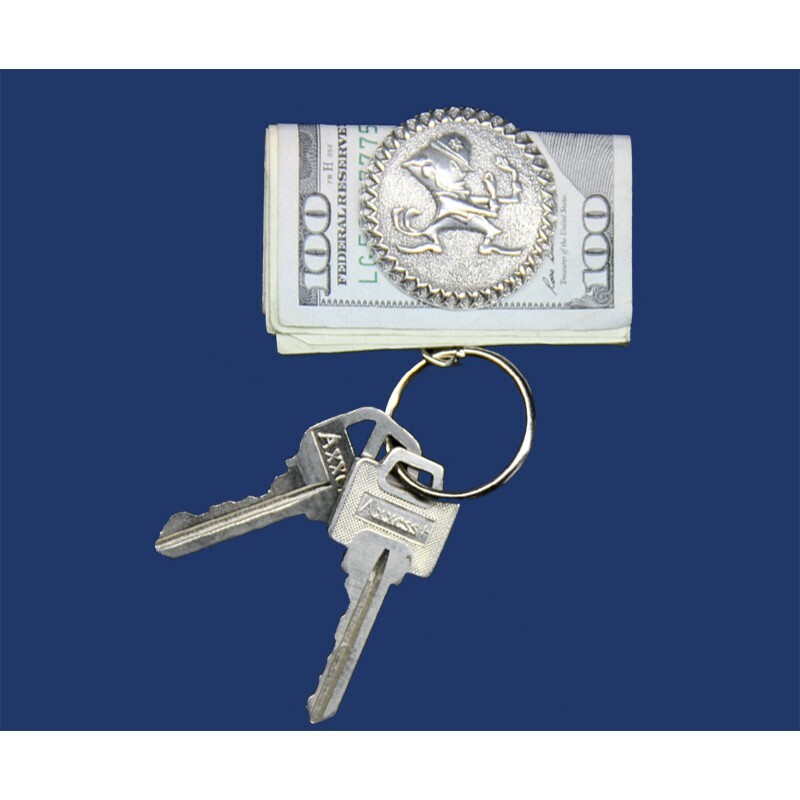 Total length of the stainless steel money clip/key fob including the split ring is approximately 3". 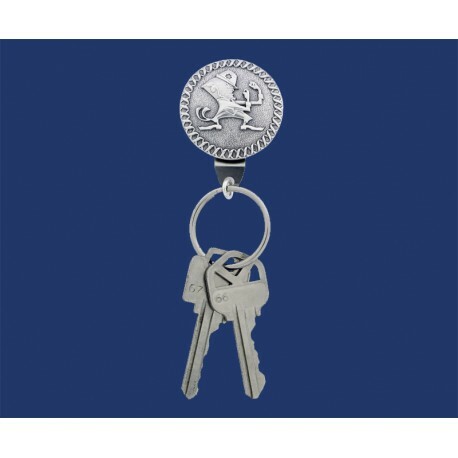 Remove the split ring for keys and the back side of the medallion becomes a money clip. 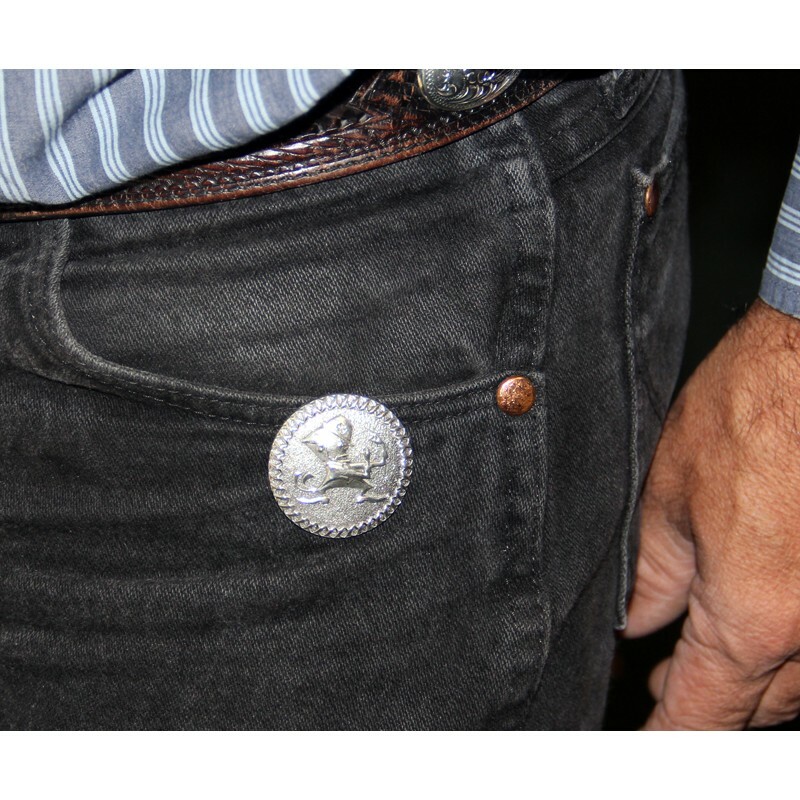 Put your keys in your pants pocket or the side pocket of your purse with the Leprechaun medallion on the outside and you will never have to search for your keys again.